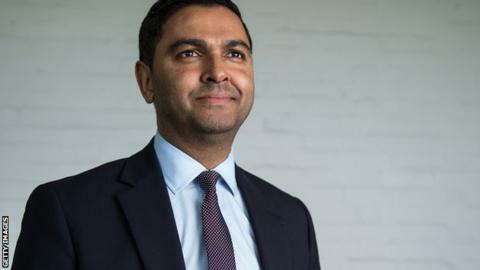 Leicestershire chief executive Wasim Khan has said a lack of quality is the reason for the club's poor performances in Division Two this year. The Foxes currently sit bottom of the Division Two table, 34 points adrift, with just two wins all season. However, they did manage to win their first Championship game in almost three years in June when they beat Essex. "We've lacked quality to get us over the line, particularly in the batting," he told BBC East Midlands Today. "We've signed Paul Horton and Neil Dexter. They will hopefully get us over the line in more games next year." When asked about a possible return to Division One cricket, Khan said he was optimistic, despite the team's struggles on the pitch as well significant financial losses for the past three years totalling over £500,000 up to September 2014. "It has been tough, but Leicestershire is the only county cricket club in the country with no debt so we've got a good starting point in terms of growth," he added. "We have a five-year business plan to increase catering revenue, improve crowds and improve facilities as well. We're also going to make a profit this year which is great."